I’ve been dreading the continuation of the How to Write a Cover Letter series. It’s not because I’m lazy. But getting my motor revved and my writing in gear to explain resume cover letter formats is a bit of a drag. Since you’re reading this you’re probably spinning your wheels too. Yep, getting ready to write a cover letter can make anyone feel a little deflated — I don’t care how good your engine. But no fear. I’ll speed ahead and make this bloggy post short and simple. Because when it comes to winning the cover letter race, the shortest and simplest formats reach the checkered flag first. Swoosh! There are two cover letter formats I’d like you to take for a drive. I’ll get super creative and call them the Classic and the Contemporary formats. Snort. So get your seat belt fastened and let’s get this over with fast. You’re applying to traditional organizations. You can stick to a single page. You can keep it brief. The biggest problem with this cover letter format is the length — many job seekers go overboard and write a multiple page essay boasting their stuff. This is a “fail” since a long meandering mess buries your skills, fast. 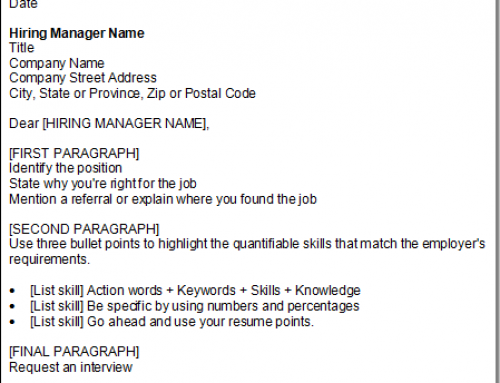 Most hiring managers spend seconds reading a resume and barely scan cover letters. If you can’t grab their attention at first glance, all your cover letter writing skills are a waste. I’ve covered the structure of the Classic cover letter in detail in Anatomy of a Killer Cover Letter. Check it out for some additional goodness. 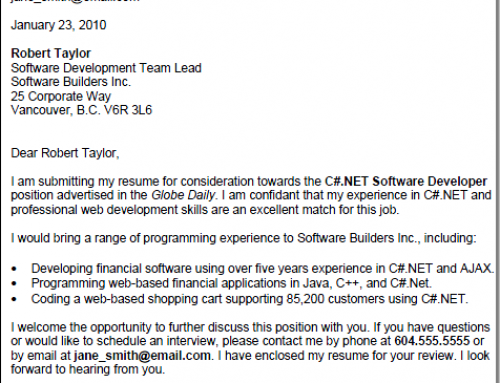 The Contemporary cover letter format is a little bit different — it tends to get noticed. And getting noticed amongst a bunch of applicants is how you land a job interview. This format starts with the basics, but instead of singing your praises in paragraphs you just list your skills using simple bullets. You’ve got stellar skills to highlight. Your skills match employer requirements. 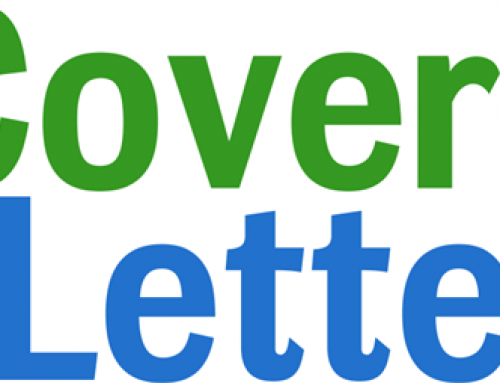 You want your cover letter to get noticed. There you have it! Two cover letter formats to help you write a winning job application, get noticed, and land a job interview. Next I’ll share some sample cover letters and perhaps a cover letter template (or two). Great tips. Stick to the basics. A good review… do you have a perspective on when one should use one format over the other (i.e. financial industry, education position, etc.)? I’ve attempted to research a name but none is to be found. 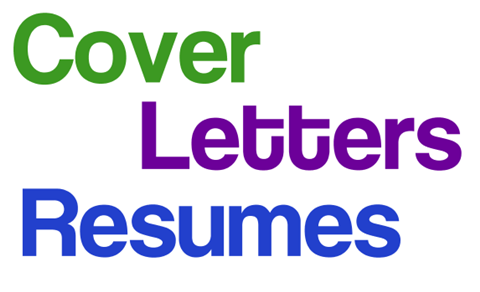 What if the cover letter and resume are submitted online? Does one still submit the employer’s contact information? The practice seems so stiff and odd for an emailed document.